Like a comic book collector obsessively rearranging their longboxes—or, more accurately, like a major movie studio delicately tinkering with one of the most lucrative film franchises in the history of the world—Marvel Studios has announced a name change for its upcoming Avengers sequels. For as long as we’ve known about them, the third and fourth Avengers movies have been going by Infinity War Part 1 and Part 2, presumably signalling a two-part story serving as the climax of the Infinity Stones plotline that’s been building for as long as the Marvel Cinematic Universe has been around. Now, though, Marvel has announced that the first of the two films—set for May 4, 2018—is just being called Avengers: Infinity War (no parts required), while the second—May 3, 2019—has been placeholdered to Untitled Avengers Movie. Given the recent trend toward sequel title bloat, this news isn’t exactly unwelcome—trust us, we don’t like typing out Big Franchise Movie:Enigmatic Subtitle—Part IV—The Roman Numeraling any more than you like reading it—but it does make us curious about what, exactly, the changes are meant to imply. 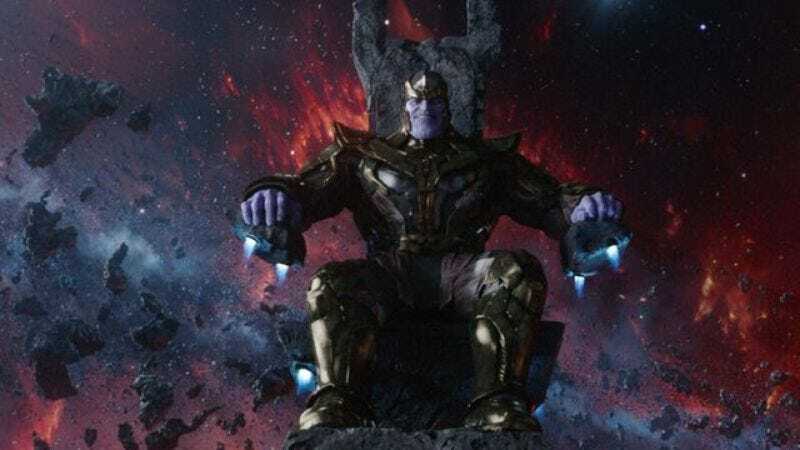 Did someone present the Russo brothers with a script that managed to condense the whole Thanos-fighting story into a single, character-packed film? Or is this just a name change, and the third and fourth Avengers movies will still be a two-part story, now in all but name? We’ll presumably know more as May 2018 gets a little closer.